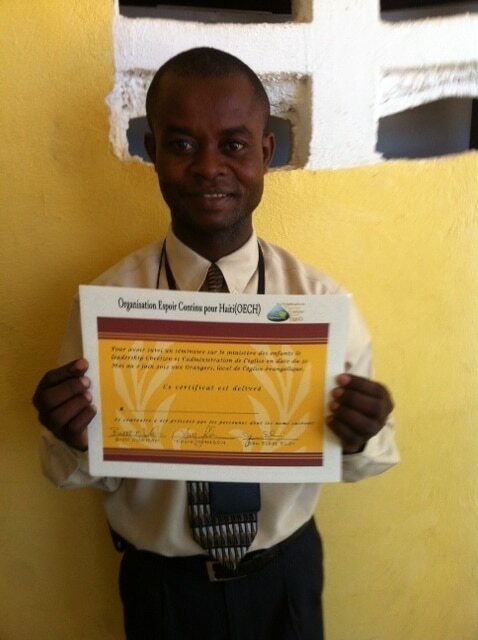 We have groups travel to Haiti regularly. Trip types vary focuses; some are medical trips, some are educational, and some are visionary. Read about our trips. 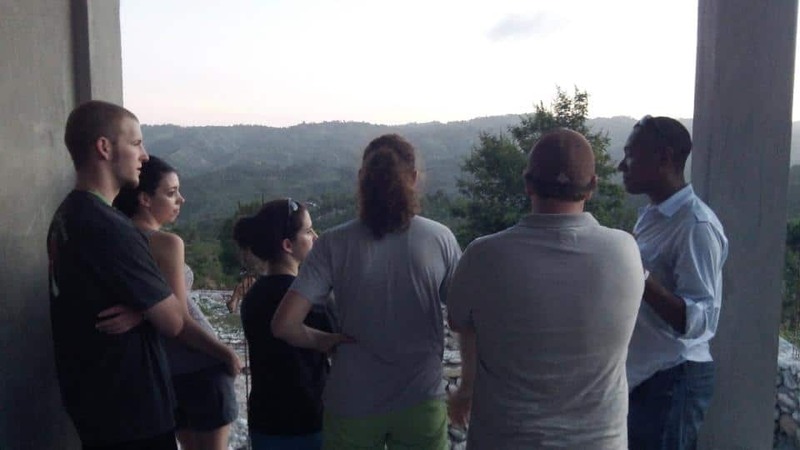 From May 30-June 5, we had a group from Hope Community Church traveling in Haiti on a spiritual-focused trip. Below is an update from Brett Durham, one of the travelers. Enjoy! For the Children’s ministry seminar, where we expect 4-6 people, there were actually 45 people that ended up attending the seminar! There were around 60 pastors who attended the two-day pastor’s conference. The pastor’s conference seminars covered Christian Leadership and The Church, and laid the foundation for ministry training for years to come. Many of the pastors were able to work together and plan for the future together, as Jean got to see the beginnings of one of his dreams coming true in this area, Christians working together as one Church made up of local churches. Six people from our group were able to share their testimonies with the pastors during the two-day conference. Each of them did a phenomenal job! The college-age people did a great job working with the children in this area playing soccer, going to the river, drawing pictures, teaching them board games and just loving them. One of the college-age people, Luke, found out how great he is with children and has already signed up to be a small group leader for 2nd graders at Hope! This trip was a dream come true for Jean, who got to see these pastors and leaders come together and begin the process of working together for God’s glory there in Haiti. We arrived in Haiti on Wednesday, May 30, safe and sound, though we did almost leave three in Miami. (As a side note, when it’s passed the time for boarding that the board says it probably means you will be boarding soon and you shouldn’t go wait in the long Starbucks line. Just saying.) The group was shocked with elements of the drive, namely the trash in Port-au-Prince, the beauty of the country, and with Jean’s driving skills as we scaled hillsides we wouldn’t dream of driving on in the states. The place we called home for the majority of the trip was called Zorangé, about a six-hour drive from Port-au-Prince. We stayed in the dorm, which is a cement building with no running water and limited electricity that is only turned on for about two hours a day. With temperatures in the 90’s while we were there, it was quite toasty in the dorms at night. We were given the royal treatment while we were in there though, and we always had clean water and plenty of food to enjoy. Our first full day in Zorangé was really cool. We went and visited Gandou, the second project in this region where a clinic was built for the people in this area. It was awesome to see since the last time I was there (September 2011) they had not even broken ground on the project. Then we traveled to Benoit, a village that has asked HFHF to help shepherd, and the people there were so kind and hospitable. 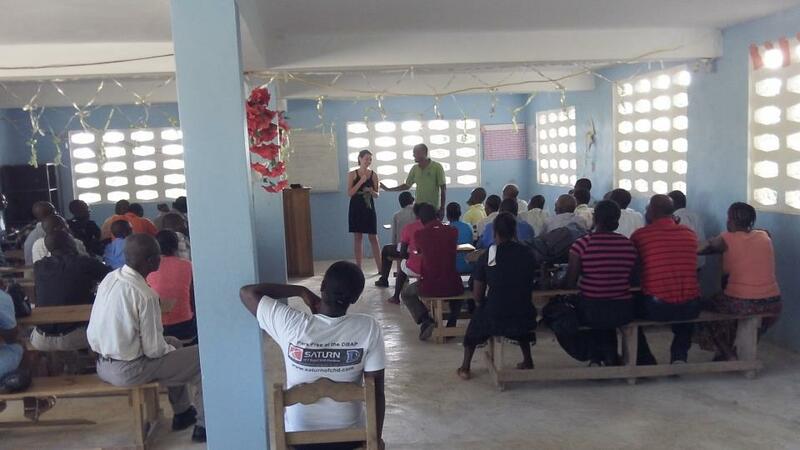 When we got back to Zorangé, Laura Johnson, who works with KidCity at Hope, and Jean, serving as her translator, lead a seminar to 45 pastors and church leaders on the importance of Children’s ministry. This was huge since they were anticipating 4-6 people. During LJ’s time, the rest of the team played soccer with a bunch of kids in the area, and at one time we had an audience of about 300 watching us. Day two in Zorangé we hosted a pastor’s conference for those in the area. Some came as far away as 11 miles, and others walked for about 3 hours to be there. We had around 60 pastors, and most of them had not worked together before. On the first day Jean and I discussed Christian leadership, just laying the foundation for years of training to come. We had great discussion and the people seemed to be engaged. During the seminar some of the team shared their testimonies with the pastors, and the rest of the team helped prepare the food for all of the pastors. The rest of the group also got to play soccer, play games with the children, and they even bathed in the river. Day three was the second day of the pastor’s conference, and we discussed Church. The questions the group asked were awesome, and sparked some interested conversations. We had three more members of the team share their testimonies, and we shared a couple hours worth of material about God’s intention for the Church from Scripture. The best part of the day came when we split all the pastors up into seven groups and had them work together and come up with what they see as the purpose of the Church in Haiti, and what their plans will be for the next 10 years. These pastors, from different denominations, were now working together to come up with a plan on how the Christians in the area can work together to make disciples and change Haiti for God’s glory. It was incredible! The rest of our time in Zorangé was filled with soccer, playing board games with kids, drawing pictures of each other, listening to music, trying to carry on conversations with some of those indigenous to the area without an interpreter, hiking to the water sources, and even riding horses. God really blessed us there. Then, we traveled to Port-au-Prince, for our last full day in Haiti. Driving through PAP is difficult, as you see a lot of filth, many poverty stricken people, and people who just look “hard,” as one college-age person described. We went to eat pizza, which was devoured very quickly, then debriefed and crashed at our hotel. We left early the next morning and arrived back in the states safe and sound, but changed. There will be about 60 certificates given out to Pastor Conference attendees. They can’t wait for the next conference which would be held in Bainet with 200 leaders from the surrounding churches. I can’t really describe how it went. That would be wrong because I would not be able to do it justice. All I can say is that both LJ and Brett let God use them in amazing ways. The Leaders could not thank our pastor enough (Pastor Roland Denis) for inviting them. They kept calling Into the our radio station to let us know how blessed they were to be there. Now we will have to put a limit on the next one because of the success of this one. Logistics will cause the limit. I was honored and blessed just to be present. Rest assured this will be a recurring event as we have for our other initiatives. But the impact of this event will be felt beyond our immediate community as we are reaching pastors throughout the area and beyond.